Want to [p2p type=”slug” value=”5-top-blogging-tips-promote-home-based-business”]increase your online sales[/p2p]? Make sure your offer is one they can’t pass up! A number of years ago, a newspaper advertising sales rep went to her boss, disgusted that her client would not buy the ad schedule she pitched. It turned out that the last time the client ran an ad – five years before – “I didn’t get a single result from my coupon” that he ran way back then. The coupon was for a free coffee refill… something that was already common practice at the restaurant. Honestly, who would bother? “Go back and tell that man we’ll run his ad for free if he will live up to the offer we create,” was the ad manager’s response. From there, he proceeded to tell the young sales rep to tell the client that the coupon would read “Bring this in for $1.00 in cash.” So, she did. The client naturally refused because he knew he would have too many takers. What he finally admitted to himself is that his [p2p type=”slug” value=”facebook-moves-to-streamline-and-simplify-advertising”]advertising[/p2p] did not work because his offer was lousy. Keep this business owner’s woes in mind as you plan to create your own irresistible offers with your Internet copywriting. 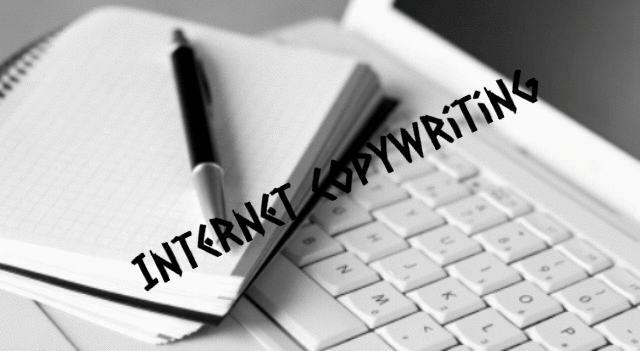 If you have never done any Internet copywriting before, don’t worry about it. No one knows your product or service as well as you do. Because of your passion for the product or service you are selling, you know it better than even a professional copywriter. Let that passion lead your Internet copywriting as you work to create the perfect offer that your potential customers just cannot refuse! Add a sense of urgency to your offer to get people to act immediately. If they put it off, they are likely to forget about it and you end up losing the sale. Adding a sense of urgency can be done by limiting the quantity or time of the offer or both. For example, the special offer is good only for the next 100 people who order, or the offer expires in 48 hours. You can even use both to heighten the sense of urgency. In summary, make your offer irresistible. Make it worth the effort to the customer to place the order. Transfer the risk from the customer to you and add a sense of urgency. Then be sure to live up to what you have written in your copy. If you do these thing, you’ll see your sales skyrocket! Thank you very much for the valuable information! Thanks A lot. Personally speaking I noted down all points in a text file for future use.